According to the motto “Three Point Project: Demonstrate. Disseminate. Replicate”, innovative urban development concepts are being developed and refined in the Triangulum project and subsequently replicated in different partner cities. The aim is to reduce the energy consumption of buildings and to promote the use of renewable energies. Another goal is to increase efficiency in the field of electric mobility. Within Triangulum, the cities of Manchester (UK), Eindhoven (Netherlands) and Stavanger (Norway) are characterized by the design or implementation of innovative and comprehensive Smart City solutions. Smart City concepts are implemented, optimized and standardized in these “Lighthouse Cities” and then transferred to other cities - “Follower Cities”. 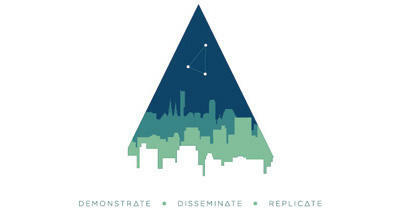 The Follower cities in the Triangulum project are Leipzig (Germany), Sabadell (Spain) and Prague (Czech Republic). Triangulum has two main areas of development: In addition to the development of a guideline in the form of a “Smart City Framework”, scientists from Fraunhofer FOKUS are developing the SmartCity ICT reference architecture oupPLUS. The Smart City Framework serves as a basis for cities to adapt existing concepts to the respective location conditions. For this purpose, the cities can take advantage of experience, technologies, business models and stakeholder structures from the Lighthouse Cities. The Smart City Framework consists of two main elements – an assessment tool and a project development guideline: The assessment tool contains a set of indicators for smart cities as well as a checklist of key fields for intelligent urban development. It also uses a methodology to identify the best local outcomes for the implementation of Smart City solutions. The project development guideline lists in detail intelligent urban modules (cluster of integrated technologies for energy, transport, information and communication technology ICT), business models and stakeholder structures. oupPLUS covers all ICT components to be integrated. It also enables the standardization, networking and replication of individual technologies, for example for urban energy or mobility technologies. This model approach, developed by scientists at Fraunhofer FOKUS, is intended to make it easier for other cities to integrate existing concepts or building blocks into their own infrastructure. Within the framework of Triangulum, the continuous exchange with the partner cities as well as the dialogue with city administrations and citizens is an important element. In addition to theoretical research, this also involves a practical application as well as an evaluation of the applicability of the model. The Triangulum project is being funded under the EU “Horizon2020” initiative. The project consortium combines the know-how of 22 partners from research, business and cities from six different countries. The Fraunhofer Institute for Industrial Engineering (IAO) takes over the management. In the long term, the project aims to develop concepts that are independent of subsidies and thus can simultaneously generate economic impetus in the regions.